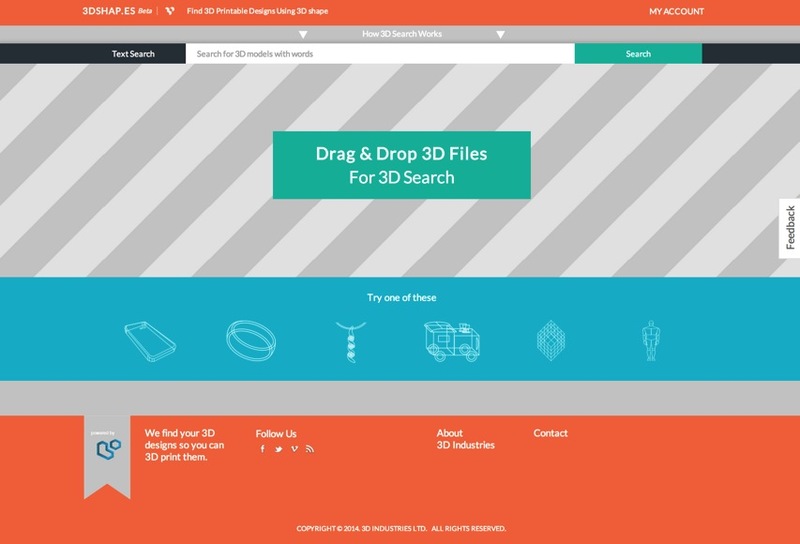 Design Tip: 3Dshap.es Brings Visual 3D Shape-Search to 3D Printing #3DxDesign #3DThursday #3DPrinting « Adafruit Industries – Makers, hackers, artists, designers and engineers! Looking for that 3D shape that looks kinda like … umm … [Drawing: squiggle-squiggle-squiggle] … this right here! [Points at a drawing board.] Well, 3Dshap.es has now launched a public beta that looks to be that text and visual reverse-dictionary you need when searching for ideas, places to start, things to print out, and things to add to a composition. So if you want to look for those, um, tall twirly bits at the edge of that boxy thing, can’t remember what they are called, and have a model that is similar, give this a try and see if the service can find something for you. Over time, as they bring in more content from other repositories all over the world, perhaps the shapes you know and love will appear there, too!! The 3Dshap.es platform is powered by 3DI’s proprietary 3D search algorithms which organize and search by shape and form. This offers more powerful, accurate, speedy and intuitive navigation of 3D content compared to conventional search engines based on textual and numerical tagging. In this way, it also overcomes differences in language, labeling and naming conventions. Using simple drag-and-drop functionality, users can upload 3D models of shapes similar to those they are seeking, or can choose from a selection of basic geometries and sample shapes to initiate and refine searches. 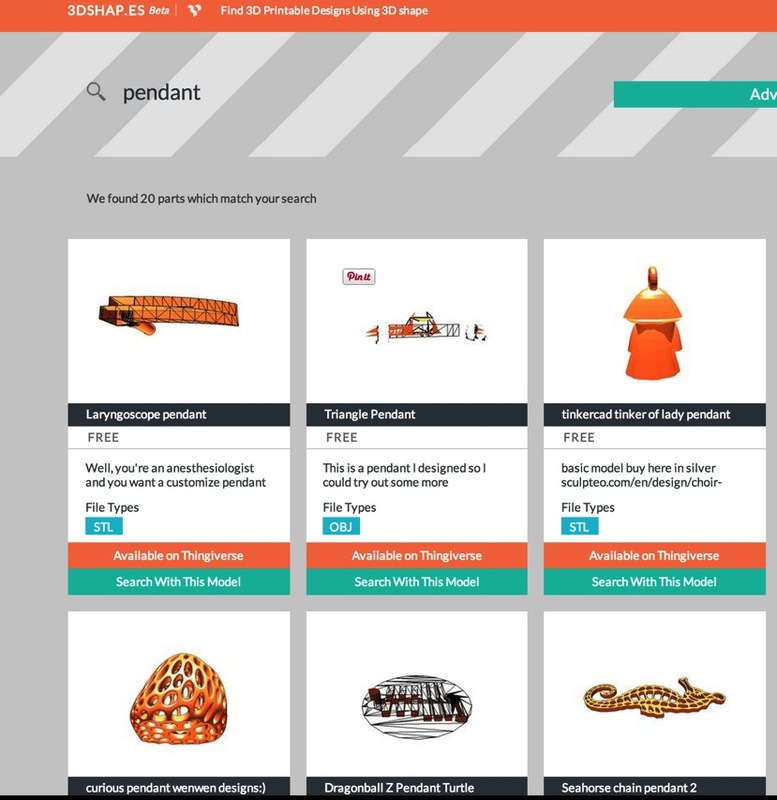 3Dshap.es aims to make every online 3D printable model instantly searchable and is partnering with major online databases and content providers to deliver this. Meantime, many of the freely available shapes on the Internet, including those from leading 3D printing communities, have been catalogued by the platform.